Abbotsford CCRR is happy to announce that we will be offering extended hours! We will now be open everyday Tuesday until 7 pm and every Saturday until 4:30 pm. We hope that these changes to our open hours will make our program more accessible to our members, clients and the community. New hours begin Saturday May 4th! The new Affordable Child Care Benefit will assist families with the financial challenge of child care, starting September 2018. The new Affordable Child Care Benefit works along with the Child Care Fee Reduction (launched in April 2018). Both programs are funding tools that serve the same goal of reducing the cost of child care. In both programs, there’s a role for the child care provider and the parent. In March 2018, as part of their Child Care Operating Funding (CCOF) renewals, licensed child care providers offering infant/toddler care and care for children aged 3 years to kindergarten were invited to opt in to the new child care fee reduction initiative, which began in April 2018. Providers who have been approved for the child care fee reduction initiative are required to inform families with children in their care that their facility has been approved. Parents who are unsure about their provider's opt-in status are encouraged to look up their provider's opt-in status. Provider Opt-in Status. The Child Care BC Maintenance Fund (formerly Minor Capital Funding) program is being enhanced under the Childcare BC plan to offer more support to more licensed child care providers in order to ensure that existing spaces can be properly maintained and continue operating. 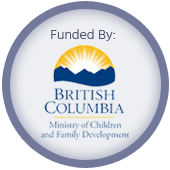 The Child Care BC Maintenance Fund grant is available to support eligible organizations to address emergencies, make necessary repairs, and/or replace equipment for their operations. For more info on the Child Care BC Maintenance Fund.